Alaska Native Brotherhood grand president Bill Martin speaks during opening remarks of the Prevention Summit sponsored by the Council on Domestic Violence and Sexual Assault. Photo by Lisa Phu, KTOO – Juneau. 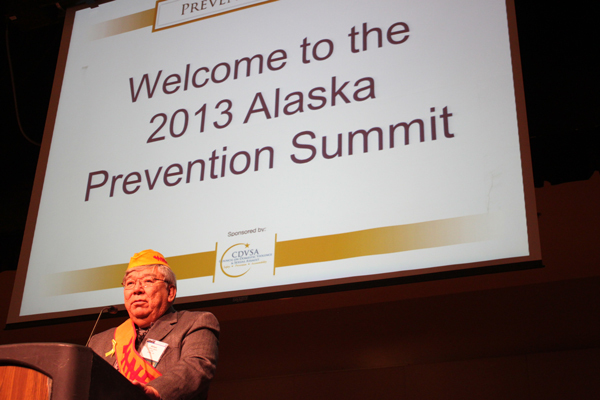 The Second Annual Prevention Summit kicked off Tuesday in Juneau. Sponsored by the stateCouncil on Domestic Violence and Sexual Assault, the three-day summit at Centennial Hall brings together teams from 19 communities with the goal of exchanging ideas about prevention. At the start of the summit, participants told KTOO about what is working in their community and what they hope to gain over the next couple of days. Tasha Bird. Photo by Lisa Phu, KTOO – Juneau. 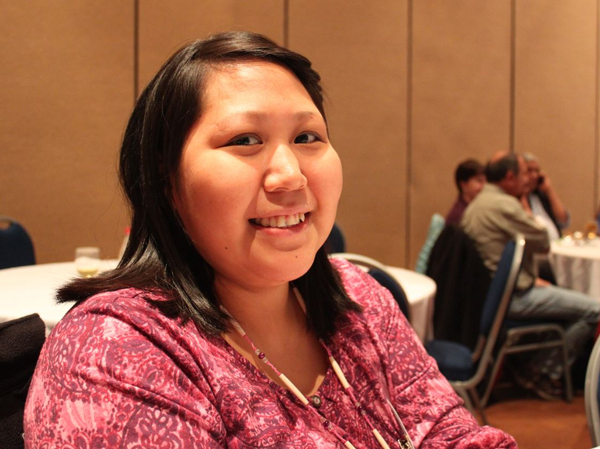 Tasha Bird is a rural outreach coordinator for the women’s shelter in Emmonak, a Yupik village of about 800 people. “My job is to educate youth and young women to stop domestic violence from happening to them and their children, their neighbors,” she says. Bird also reaches out to 13 surrounding villages. She says the nine-bed shelter has been busy all year. The six extra cots have also gotten a lot of use. Bird says domestic violence and sexual assault in Emmonak is often caused by drinking or jealousy. Being able to reach the men in her community is part of what Bird hopes to get out of the Prevention Summit. She’s heard about the statewide program Alaska Men Choose Respect and wants to learn more. “Lots of the guys at home like to play basketball and maybe I’ll work with the city league and see if they could help me with something because I know lots of the young boys, they look up to those guys,” says Bird. Winifred Kelly-Green. Photo by Lisa Phu, KTOO – Juneau. 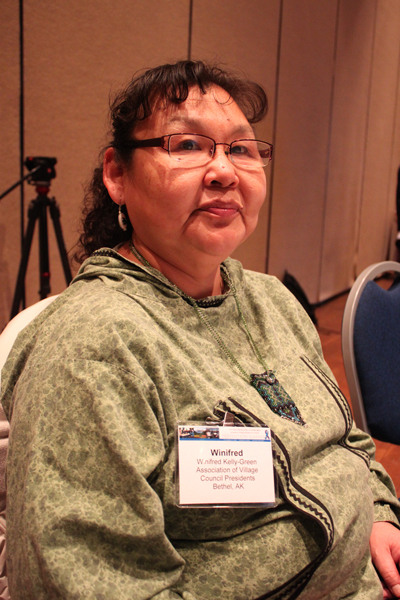 Through forced assimilation, Kelly-Green says Yupik men lost their capacity to pass knowledge to younger generations. 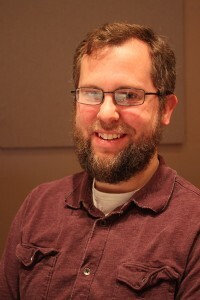 Greg Marxmiller Photo by Lisa Phu, KTOO – Juneau. In Marxmiller’s opinion, everybody in Dillingham comes from a place where there’s domestic violence and sexual assault. Marxmiller’s goals for the Prevention Summit is to network, take new ideas back to Dillingham, and get resources to continue the prevention efforts that are already taking place.